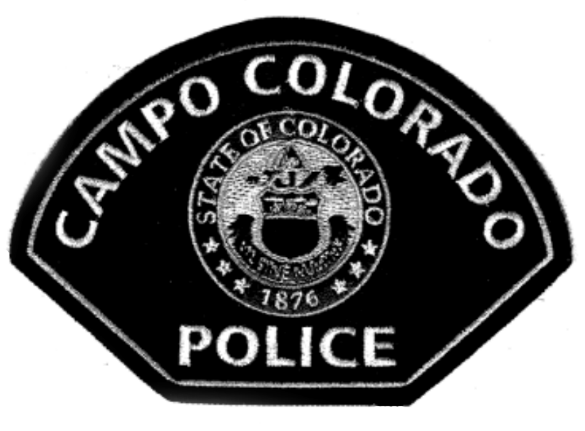 The Campo Police Department is committed to the highest standards of integrity and professionalism. Their primary focus is to make sure that the residents of Campo, Colorado and the people traveling through our town feel safe and secure at all times. The officers that make up the Campo Police Department work tirelessly to make a positive difference in the Campo community, they need your support, trust, and confidence! 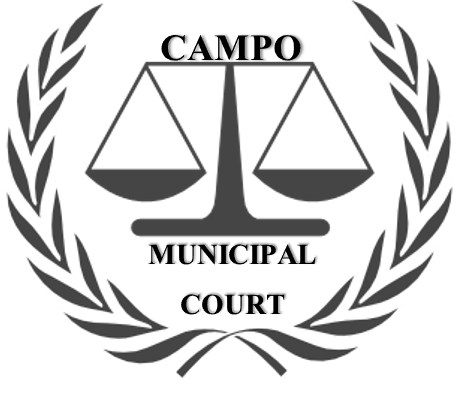 Campo Municipal court is in session the last Thursday of every month, starting at 7:00pm. The court is held in the Firehouse Meeting Room. We are open Monday, Tuesday, Wednesday, Thursday: 9:00am to 3:00pm. Closed Fridays and Legal Holidays. Campo Municipal Court accepts credit-cards over the phone, you can call the phone number listed to make a payment. We also take Money-Orders or Cashier’s Checks in the mail. (NOTICE: If mailing a payment make sure to include your full name and Citation number on the Money-Order or Cashier’s Check. Mail-in payments must be sent out ten (10) days before the due date). NO PERSONAL CHECKS! At this time we do not offer payments to be made via the web. For questions about a citation, court appearance, or warrant, contact Campo Municipal Court at the listed phone number during business hours. If you have questions regarding your driving record or driver’s license, contact the Department of Motor Vehicles at 303-205-5646 or visit their website at http://www.colorado.gov/revenue/dmv.com.